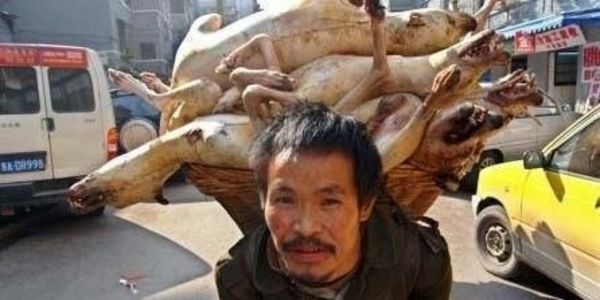 We demand a law in China against Animal Abuse!!! In China, all imported and exported, must be tested on animals. There is a thriving trade in dog and cat meat. For this, the animals are skinned alive, cooked and kept alive as long as possible to improve the taste. Also in the fur and leather trade, the mainly dogs, cats and raccoons, be mistreated terribly. Their life has been a hell before they are fully grown. When the time comes, they will be, without any form of anesthesia, the legs cut off and skinned alive. Then they are thrown together, and they perish. Also in the drug industry, the animals have to suffer indescribable. One example are the moonbears. All their lives, they're in really narrow cages. Daily bile poured, through a rusty crane, that stays throughout their lives. I can still take a long time to continue this list but I'll leave it at these four points. These are gruesome enough. This petition is stil running! We need many more signatures! who went to China in October 2015. Since there was no response from the Dutch king we will continue to recruit signatures!!! So, keep on sharing the petition, we need many, many more signatures!! We have only 21 days left!!!! PLEASE SIGN AND SHARE AS MUCH AS POSSIBLE!!!! 22 Days left to sign this very important petition! Please sign and keep sharing! !